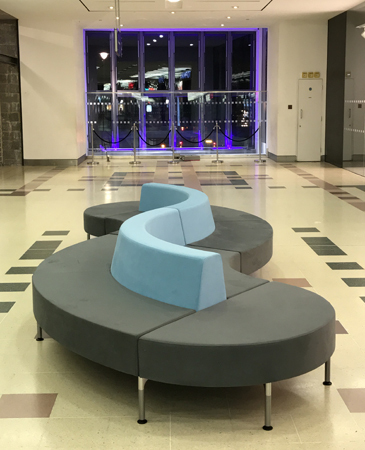 The client needed some public seating with more comfort than the normal public benches and selected the Hive with legs range in an "S" shaped format. The client chose Gabriels Comfort+ range for the upholstery and the 4 no. seating units were installed in two sections so that they could be separated and moved easily if required.